With Alien: Covenant currently ploughing through filming, behind the scenes images from the Prometheus sequel, Alien prequel have bee making their way online. The latest has come our way, giving us our first look at a returning Michael Fassbender as the android David, and it looks like our hopes for the actor to be playing a disembodied head (the state he was left in as the end credits rolled on Prometheus) for much of the film have been all but dashed, as Fassbender seems to be in full costume (with a new ‘do) with full use of everything below the neck. With David’s rescue from a formerly utopian planet being an event that films plot hinges on, expect Mr. Fassbender to play a huge role in the action, alongside Katherine Waterson, Danny McBride, Demián Bichir and Billy Crudup. 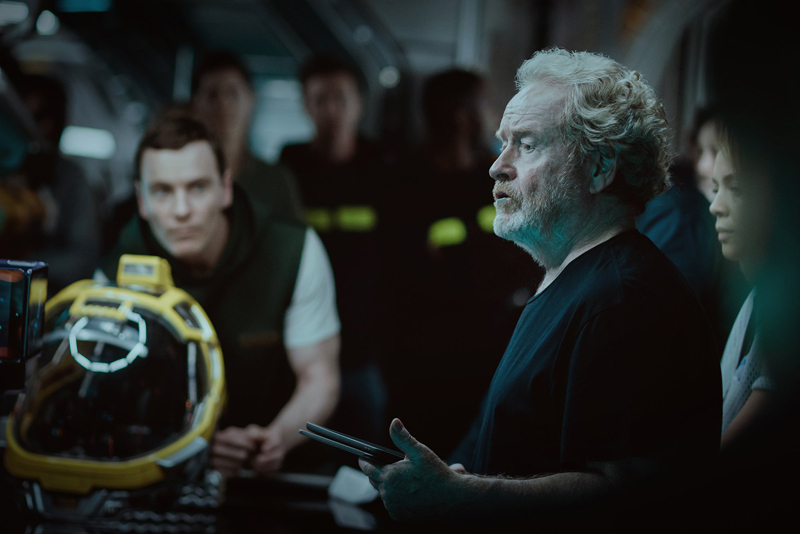 Synopsis: Ridley Scott returns to the universe he created in ALIEN with ALIEN: COVENANT, the second chapter in a prequel trilogy that began with PROMETHEUS — and connects directly to Scott’s 1979 seminal work of science fiction. Bound for a remote planet on the far side of the galaxy, the crew of the colony ship Covenant discovers what they think is an uncharted paradise, but is actually a dark, dangerous world — whose sole inhabitant is the “synthetic” David (Michael Fassbender), survivor of the doomed Prometheus expedition.